I was looking so cute. So this is one of the big trends this season but I have to say that I was disappointed by what I found in stores. So much can be done with this material. 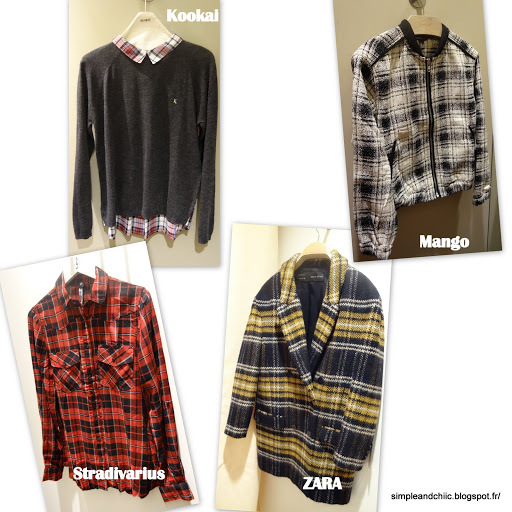 There are huge options of colors, outfits, styles etc… In general I found that retail brands were not able to create anything original. They did not take the risk. Most of the brands chose to create the classic “Scottish” shirt and when they did try to be original I did not find the final product appealing enough. Despite the fact that overall I was pretty disappointed; I was able to find something I love. I got my crush on the below sweater by Kookai because the brand was able to upgrade a regular sweater with a small touch of Scottish tartan in the front. And the back is just to die for. As many fabrics the tartan will fit perfectly with jeans; but also with velvet. 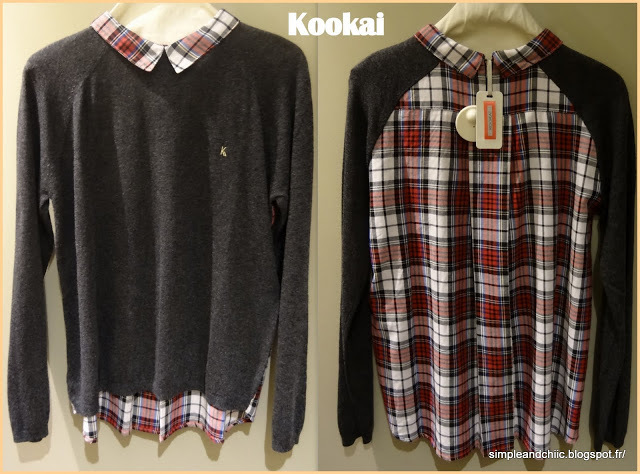 For instance with the Kookai's sweater we have many options as the Scottish tartan is light but the sweater is dark. In this case it is possible to wear a dark or light bottom, but always monochrome. As the sweater tends to be large I would wear it with a tight bottom. For instance a white, black or red skinny jeans would be perfect. If you are more adventurous with colors as myself, a pair of a bright blue skinny jeans would be perfect as the fabric is made with a small amount of blue. The sweater is already grey so here a grey bottom whether it is light or dark is forbidden here ! I have several articles on 2013 fashion trends coming for the next weeks.